This is no more evident than in Xinjiang where on a trip to Urumqi, not only did I discover having just trekked to Glacier Number 1 in a -30c wind that my translator was in fact Muslim as well, but I asked her to recite the shahada, the Muslim testimony of faith, in Chinese. 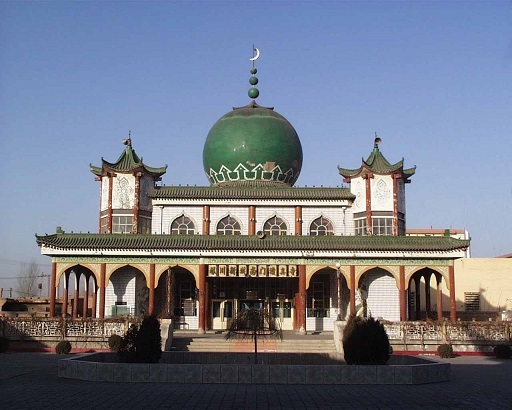 With a day free in Urumqi, I wandered around the city where I happened upon numerous mosques. This part of China, so close to central Asian countries was also full of visiting businessmen and women, including a number from Pakistan. It was perhaps one of the first times in my life when hearing Urdu being spoken happened to be a comfort. Throughout the different regions where a Muslim presence exists, I have never found it difficult to find ‘’halal’ food. Many Chinese Muslims will (wrongfully) recognize ‘Muslim looking men and women’ and often I have found myself being informed which food is halal. Indeed in the heart of Beijing’s tourist and business district I happened upon one, a large restaurant, which happened to be a Muslim chain serving halal food, mostly dim-sum, throughout – yummy! One of the most memorable experiences for me happened to be at the Emin Minaret in Turpan. There standing in the center of the amphitheatre, the echoes one could hear brought to mind an important lesson in life. That often, it is not who we are and what we have that matters but the legacy that we leave behind. Some will leave matters unpleasant while others memories and efforts will grace you with peace, comfort, even inspiration. That is what this mosque did for me. Indeed, that is how I felt almost every time I visited a mosque in China. 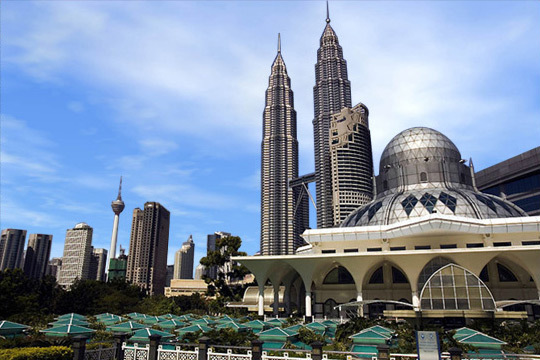 The unique style at Turpan, the grand architecture at the Nue Jei mosque in Beijing, the stunning carvings of the Quran on the walls of the Grand mosque of Xian, the ruins of the original Qingjing mosque in Quanzhou, the mosque of Guangzhou, and so on. Each mosque in its respective region had its own style, and around each, lived a Muslim community whose hospitality was often very welcoming. I have always wanted to visit Xinjiang, ningsia, gansu and Xian. Last December I visited Harbin and Beijing. Even in Harbin there were quite a number of Muslim restaurants. The sheep legs and hoof sold at the 3rd storey of Muslim Supermarket on Niujie street and the vegetable soup was nice (only thing missing was the chilly (next time I will bring my own chilly sauce). In the city of Harbin, I love the barbecued mutton at the street corner, it was hot and salty and nice. The meat was about 12in long and it only cost around S$2. When in Xinjiang, I would like to visit as many mosques as possible and at the same time taste the different food available from the various muslim nationalities. Looking forward to this trip. Thanks Bro Farrukh for reminding me. Niujie street is in Beijing. Pardon my excitement and error. salam my brother and sister in islam,may the peace and blessing of ALLAH(S.W.T) be upon us togeather.amin..,i am very happy if i were accepted to be the member of this glorious group..i am from nigeria in west africa…,and also love this page for being contrubute and broadcast the message of islam..finaly i will much delighted if you accep my request and waiting your reply via my mail adress. Wassala!! Hi I’m dina from Malaysia. I’m a student and going to Xiamen for voluntary work for 1 month . and I’ll be there for the whole ramadhan eid ul fitri, so can anybody help me to tell me where the mosque and muslim restaurant or cafe. and what do I need to bring there. can I bring RMB cash from malaysia?